Here’s how to make scrambled eggs for 100. Add eggs, salt, and cream to container. Mix together thoroughly (I use a hand mixer). Pour about 1.5 gallons of the egg mixture into a hot, greased roasting pan. Bake at 350° F. until eggs are of desired consistency. Stir frequently during baking. I think the important question is: How big a container do you need for 200 eggs? Hmm…200 eggs along with the cream comes out to be about 3 gallons. 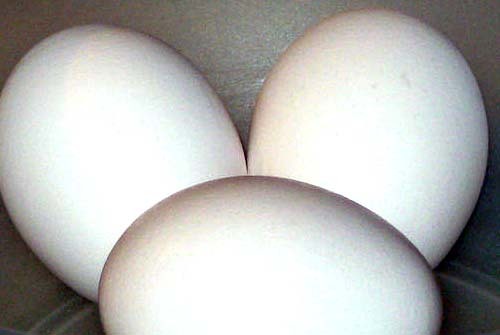 4 eggs equal about 1 cup (it depends on the size of the egg).